In 1914, the entry for siege and related words was a relatively recent addition within the still on-going Oxford English Dictionary. Completed four years before the outbreak of war, this had detailed a range of meanings, though its salience in terms of conflict was plain; as the entry explained, siege in this sense denoted ‘The action, on the part of an army, of investing a town, castle, etc., in order to cut off all outside communication and in the end to reduce or take it’. Supporting evidence in the Dictionary began in 1300 and extended to 1876. ‘The penetrating power of the arms which would now be used at a siege is far greater than it used to be’, as the most recent citation had warned. This was, in reality, what would come to be known as the First Battle of Aisne. 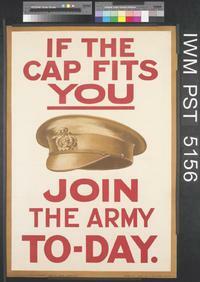 As the article continues, the ‘battle began on 12th Sept, this is the fourteenth day’. The ‘siege’ — and the military stalemate it invoked — would come to an end on 28th September, when fighting was abandoned without a decisive victory being achieved by either side. In the dictionary, illustrative evidence began in 1500 and extended to 1879 with an embedded definition from Cassell’s Technical Education: ‘When this excavation is behind the mound it is called a trench’. As the OED added, trench was ‘More particularly applied to the ditch or excavation’. The defeat of the Marne has not left the enemy unprepared, and the formidable nature of the defence works, through anticipations of a possible retreat all along the present front … is enabling them to make a firm stand. 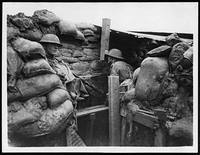 The enemy’s trenches north of Chalons are a metre (just over a yard) deep, with shell shields every twenty metres, and rest chambers. The multiple lines of the trenches are flanked with further defence works. We are slowly beating them back. We have to do it foot by foot, for they have huge guns, and their fire is terrible…Well, we dig ourselves in. We British lads have learned the lesson, and then we go on fighting and fighting until the moment comes when we can make our advance. We crawl up and again we dig ourselves in, and so on. Siege warfare, seen in these terms, required new lessons which those involved in WWI quickly assimilated in order to survive. To dig in, as used here, was to be a new military sense, later defined in the OED as ‘To excavate a trench or the like in order to withstand an attack or consolidate a position’. Recorded from the second edition of the Oxford English Dictionary (which was published in 1989), the sense is given as dating from 1917. In reality, as Clark’s first notebooks attest, it was, of course, in use from the early weeks of war; ‘The Germans are digging themselves in upon almost all points of their position’, as the Scotsman stated on 18 Sept 1914. As Clark argued, uses of this kind informed other new senses of words such as entrenched, as well as signalling still other distinctive intersections of language and history. **This section of the OED was revised in June 2014; trench warfare is now taken back to 1887, though its use in signifying ‘A protracted dispute or prolonged state of discord characterized by stubborn adherence to established positions, opinions, etc., and persistent sniping between opponents’ is given as dating from 1915.